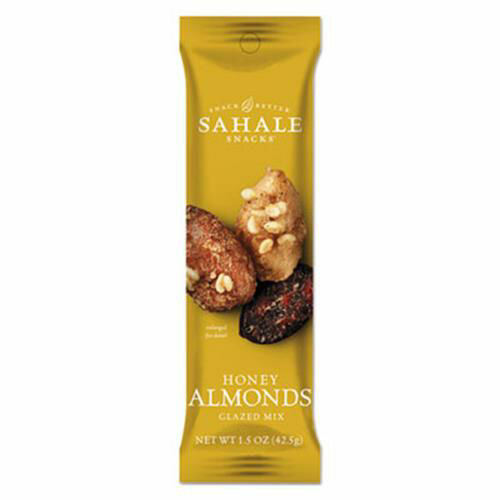 Sahale Snacks Honey Glazed Almond, 1.5 oz, 18/CT - Welcome to The Office City! Sahale grab and go snacks provide a healthier, great -tasing options for snacking combining the wholesome goodness of nuts and fruit. The blends represent a range of flavors and are the perfect size for on-the-go snacking.